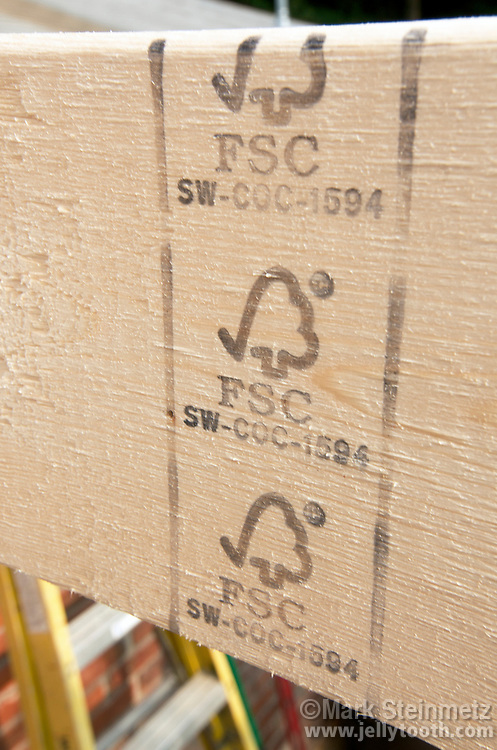 A white pine 2x6 stamped with an FSC logo, identifying the wood came from well-managed forests certified in accordance with the rules of the Forest Stewardship Council. These rules cover such things as labor rights, indigenous peoples' rights, sustainable forestry practices, and consideration of water resources, soils, and biological diversity when logging. A whole chain-of-custody--from the forests, to the mills, to the distributors--must be maintained for the certification.